​Are you spending a lot of your marketing budget and your time on strategies meant to drive traffic to your website or blogs? Is your hope that once your target audience lands on your pages, they will complete the opt-in process? While these are good goals, focusing all your efforts on increasing traffic could mean you’re not creating landing pages that do a better job at convincing prospective customers to take the desired action such as complete registration, subscribe to your newsletter, or make a purchase. Therefore, if your landing pages weren’t designed to convert, all your efforts to get people to click your pay-per-click (PPC) ad, banner ad, or promotional email will be for nothing. Because the success of your ad campaign relies on the effectiveness of your landing page, you need a landing page that piques enough interest to convert prospects into paying customers. Before creating your landing page, do your research and run appropriate tests. Use insight to design a landing page with visuals and copy that your target audience will find compelling. Your title should be captivating. It should be clear, relevant, and address the visitor’s pain points in an empathetic way. Emphasize your main offer by using persuasive and concise copy. It should be long enough to explain the value of your offer but not so long that reading it feels like a task. The last thing you want is to lose a conversion because you’ve bored the reader and lose their attention and interest. Too many complex elements can distract your visitors, leading them away from the desired action. Use imagery you know your target audience will find attractive; they should be engaging, consistent with your brand, and entice your visitors to continue scanning until their eyes settle on the landing page’s CTA button. Ensure the important parts stand out by being strategic with your formatting; use bold copy, bullet points, lists, etc. Use a video. According to HubSpot, 90% of surveyed consumers reported that product videos helped them make purchasing decisions. Additional information about your offer is useful to have on your page; however, your visitors should have only what they need to make a decision. Remember, people have limited attention spans, and few will have the patience to scroll through multiple page sections to find out what you’re offering. To avoid the risk of diverting visitor’s attention or confusing them with multiple offers, use a single CTA. Your call-to-action button should be visually distinct. To catch attention, it should be bold and bright. It should use action-oriented messaging that motivates and creates a sense of urgency. By placing the CTA button above the fold, you’re drawing your visitor’s attention immediately to the CTA which is great for conversions. 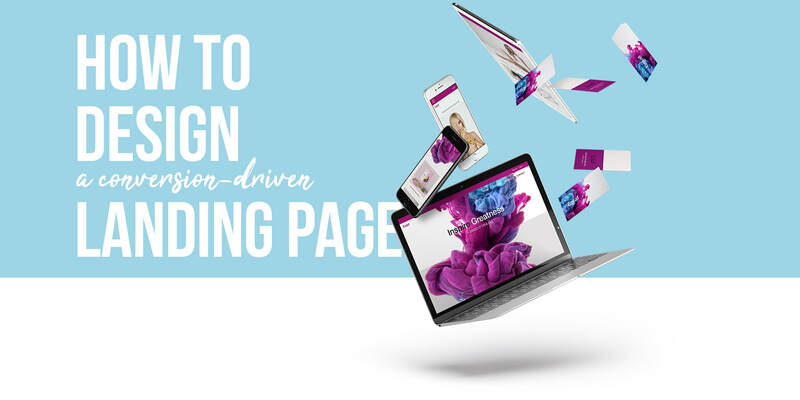 If you’ve got more questions about how to create a compelling landing page that promises conversions, NUEX Creative can help you. We want you to stand out and tell your story in a new perspective. ​We can help you build the perfect landing page. CLICK NOW To Get A FREE Consultation! Cultivating your brand is the secret to growing your business. 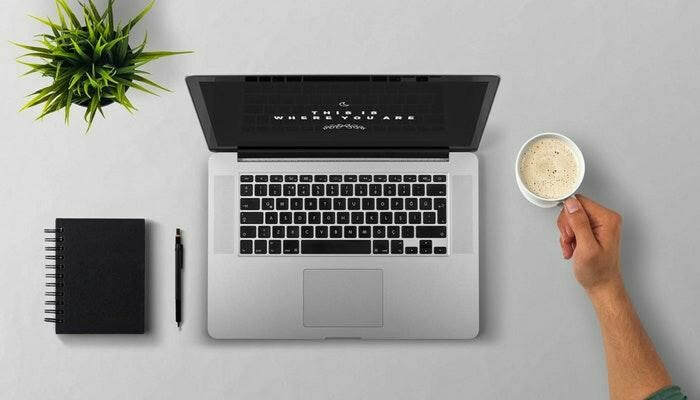 Whether you’re a freelancer or an entrepreneur, personal branding matters because we live in a digital age where separating your work life and social life is no longer an option. People who want to know more about you will not reach out to your family or friends or request a one-on-one interview with you. They will turn to the Internet and Google your name, following every digital footprint you’ve left behind. Branding is often viewed as self-promotion or creating an enhanced version of yourself that people will like. However, building your brand is more about curating and controlling your image and voice so that it is an accurate representation of what you truly stand for. Your brand is what sets you apart, making you identifiable when compared to competitors in your field. By building your brand correctly, you increase your ability to get the right job or attract the best talent for your company. Establishing your brand begins with identifying who you are. What are your strengths? What are your goals? What do you stand for? What do you want to be known for? What message do you want to communicate to your audience? Remember, this isn’t about crafting a persona and positioning yourself as something you’re not. Find out what search results are attached to your name. If there is anything you think may put your brand at risk, take steps to delete them. You may not realize it, but you’ve been building your hallmark for some time, mainly if you’ve been actively commenting on public forums for years or on Facebook since it first launched 15 years ago. Now that you’ve decided to build your brand actively, there may be some statuses or photos you posted years ago that no longer reflects who you are today. Clean up material that doesn’t match the image you’re cultivating. Delete old photos, statuses, and comments that don’t accurately tell your story or show your journey. Remove old content that may contradict who you are today or posts that you now regret putting out there. You don’t want potential clients or employers finding old postings that exhibit unprofessional behavior. Everything you post moving forward should showcase your passions, interests, skills, and accomplishments. Identify your target audience, the best places to connect with them, and the kind of material that interests them. Build up the online assets that help you control your brands such as securing domain names and websites. Start simple by creating social media accounts across social media channels where most of your audience can be found. Optimize your profiles and site for the search engines. Fill out all your profiles completely, include relevant keywords, and consistently use your full name across all your social media accounts and domains. Growing your brand involves increasing your visibility. Leverage social media and your blog to get your message out. Build credibility by writing strategic content and publish it on channels where your target audience will have the opportunity to discover your content and get to know you. ​Remember, the key to growing your audience is to engage. Let us help you tell your story and build your brand. We already use artificial intelligence in our everyday lives without even realizing it. You use AI when you interact with Apple’s Siri or Amazon’s Alexa. But did you know that AI is what filters your emails in Gmail, improves your social media experience, and makes recommendations when you shop online? In the world of advertising, AI is helping marketers become more consumer-focused. AI is helping enhance user experiences, enable personalization, and automate complex tasks faster and more efficiently. And with less time spent on testing multiple creatives and conducting surveys, marketers have more time to innovate and think creatively about their next campaign. 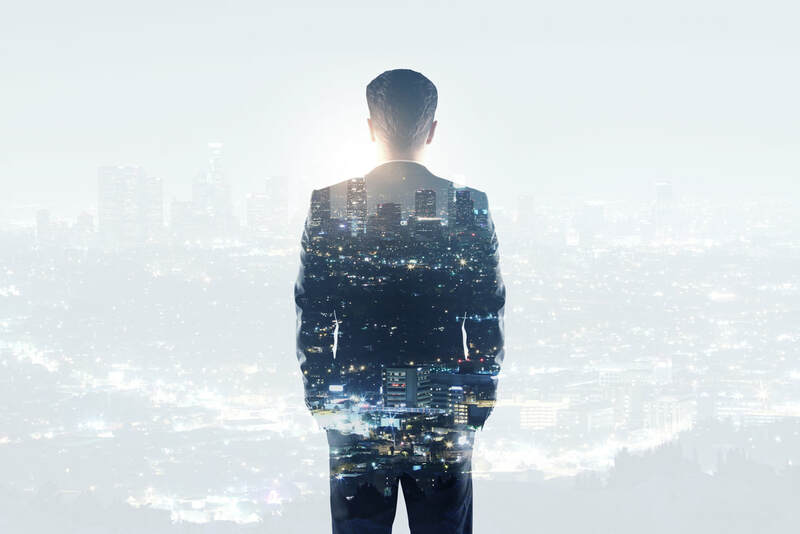 With AI doing the heavy lifting involved in gathering data and insight, marketers focus their energy on delivering relevant and compelling ads and driving results. With the rise of AI-driven technologies comes more marketing automation. Through automation, we can better track customer activity across multiple channels. Customer profiling is improved, giving us a more precise picture of our target audience. Marketing automation also gives us the tools to track the performance of our advertising campaigns quicker and more accurately, allowing us to make adjustments immediately. With valuable insight gained through marketing automation, you minimize second-guessing or making risky decisions about advertisement design, content creation, or merchandise branding. Consumers are spending more and more time on their smartphones consuming videos. According to the 2019 statistics infographic by Digital Information World, 52% of marketing professionals name video as the type of content with the best ROI. And according to 70% of the marketing professionals surveyed, video converts better than any other medium. And a whopping 92% of shoppers say that visuals are the most influential factor affecting their purchase decisions. If you haven’t added video to your advertising yet, 2019 is the year for you to leverage the medium to engage old and new audiences. Think along the lines of in-stream video ads on YouTube, Facebook Video, and Twitter Video. Start using Facebook Live and Instagram Stories. Create product or service promotional videos or product demonstrations, explainer videos. Encourage your audience to create videos about your products. Go live with interviews or share video captured from your corporate events or product launches. 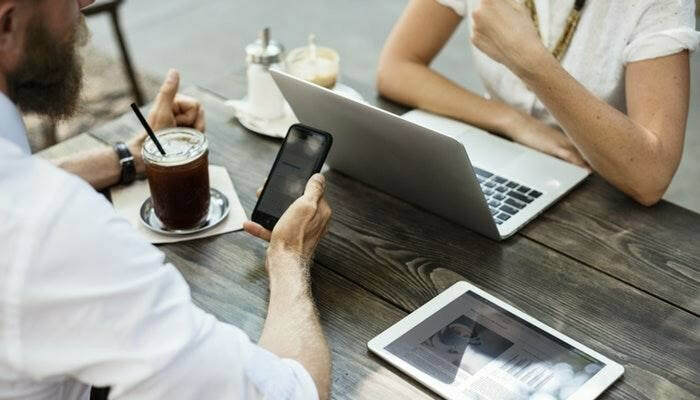 While technology seems to be the answer in this increasingly digital landscape, it’s not enough to use the tools and rely on them to make the hard decisions for you. Creativity is still king. Successful advertising still demands innovative thinking and smart campaigns. At NUEX Creative, we know how to dissect insight and data and implement them in your advertising strategies. Let us help you focus on your branding and delivering impactful user experiences. Email marketing remains among the most effective marketing strategies with one of the highest returns on investment. It’s how you communicate with your clients and a useful tool for you to nurture prospects into customers. It also helps improve customer retention. According to Statista, active email accounts are expected to hit 5.6 billion by 2019 and based on a survey conducted by HubSpot, 86% of professionals prefer email when communicating for business purposes. Encourage people to sign up by sweetening the deal with an opt-in incentive. In exchange for their emails, offer them discounts, coupons, or introductory offers. It should be something they can immediately enjoy such as 20% off their first purchase. Set it up so that once they are opted-in, they receive an automated yet personalized response with a coupon or discount code they can enjoy right away. Beyond letting your visitor know what they will be gaining from subscribing, let them know how often you’ll be sending newsletters or other emails. Knowing they’ll be inundated by daily emails may turn them off; it’s essential, to be honest about the email frequency. Who doesn’t love free stuff? You could give away an eBook, a 20-minute consultation, product, or a 30-day trial. Every business is different, yet there’s always something you can give away as a freebie. Add a link on your newsletters that will take them to a “Invite a Friend” form where they can provide their friends’ emails in exchange for a reward such as a hefty discount or free stuff. You should also send the friends an introductory email with an incentive, so they don’t end up hitting unsubscribe. Convert more visitors into email subscribers with subscription forms that pop up on the screen. These pop-ups can be triggered when a visitor has been on your site for a certain amount of time and likely to leave your site. It’s best to do some testing when it’s best to display popups. You may not want to ask them to subscribe within split seconds of arriving at your website before they’ve even had the chance to explore. Giveaways, contests, and sweepstakes are highly engaging. Beyond the excitement of winning free stuff, people also love competitions. Start with an attractive prize and clear mechanics of how to join. To grow your email list, ensure the rules include providing their email or opting in through a plugin. To get high-quality emails, make sure the prize is something related to your business or better yet, your product or service. Sure, giving away something like an iPhone will get you thousands of emails, but they’ll probably be low quality and primarily made up of contest junkies or people who want a free iPhone. Every page of your website should have a subscription form. This way, visitors don’t have to go looking for your sign-up sheet. You risk losing their interest when it’s not immediately available to them. Make sure the ‘Subscribe’ button is not only visible but attractive. All you need is your visitor’s first name and email address; the first name will help you personalize emails. Adding any more to the form will make people feel like they’re answering a survey and they probably don’t have the time for that. At NUEX Creative, we believe that design and strategy matter, especially when it comes to improving website traffic and converting more visitors into subscribers. Let us help you tell your story and build your email list faster. Get a Free Consultation! Branding has the power to impact everything from your reputation to your bottom line. 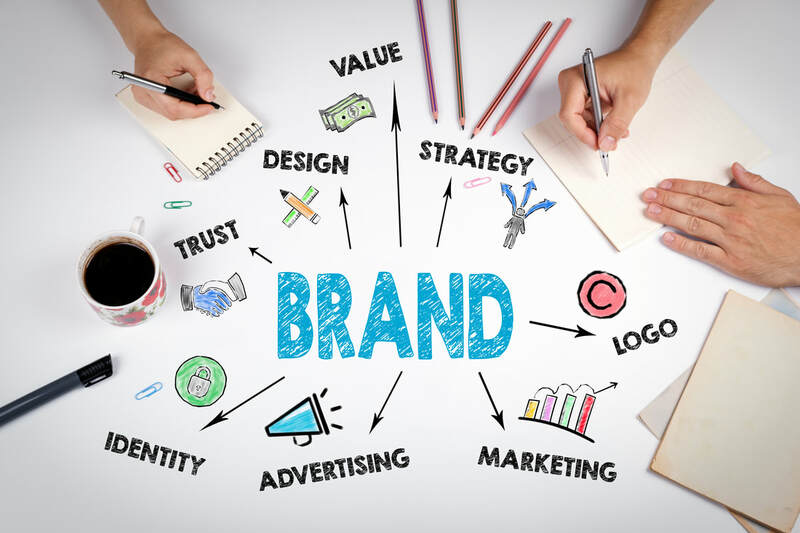 Unfortunately, too many companies haven’t quite grasped the importance or understood the impact of branding and end up committing branding mistakes that hurt their business. Your business is only trustworthy if it stays true to who and what you claim to be. Your audience is watching, and if you make a move that contradicts your mission, vision, and values, you disappoint your customers and hurt your reputation. It doesn’t matter if you have the most amazing products or offer exceptional services if you’re a business who has confused branding with marketing or advertising. You will inevitably commit mistakes and ultimately hurt your sales. If you’re not tracking your branding efforts, then you’re not identifying where you are failing and where you are succeeding. Marketing and branding should not be confused; however, they do work together and knowing how your branding affects your marketing and vice versa is crucial to business success. Remember that your branding is who you are while marketing is your tactical strategy to build awareness around that image. Differentiating yourself from the competition is how to get attention. With so many brands who are doing what you’re doing, you need to let the world know how you’re doing it better. Your branding should express what makes you unique and why they should make the switch. The quickest way to confuse your audience and lead them to question the legitimacy of your brand is to be inconsistent with your messaging and imagery. Everything from your colors to your voice should be consistent. Your company visuals should match across all social media platforms, marketing collateral, and your website. Your company should use the same name, colors, logo, and taglines both on and offline. Not only will consistency help your audience remember you, but it builds trust. The Internet and social media have given all brands a global platform. When you put yourself out there, you allow the whole world access to your image and voice. Be careful with topics that touch race, religion, gender, sexual orientation, politics, and so on – unless your brand is built on controversy and aims to invite debate and unleash firestorms. Your brand goes beyond what you see on social media, your website, on billboards or TV. Your brand isn’t just the products on the shelves. Your brand extends to all your people. So if you have employees who are poor representations of what your brand stands for, your company will suffer. Engage your employees and give them a sense of pride to represent your brand. Give them a reason to be ambassadors who proudly spread your message. Business owners know their product, logistics, finances, hiring the right people, and all things related to operations. What they may not be so great at, is defining their brand and establishing a differentiated presence in the market that makes them attractive and memorable to customers. Ultimately, the biggest mistake businesses make in branding is not knowing where to start and how to achieve its success. Let NUEX Creative help you stand out and create a unique experience that leaves your audience breathless and wanting more. Differentiate yourself from the competition. Let us help you tell your story in a new perspective. ​If you’re ready for takeoff, get your FREE consultation today. For businesses to survive in this digital age, they must adapt to the changes in consumer behavior. And while you may think that means focusing on social media because that’s where most consumers spend their time, you’re wrong. Too many small businesses have made the error in judgment by believing that a social media account is all they need to market their business. After all, it’s free to set up while websites can cost from a few hundred to thousands of dollars to launch. But while a site requires an investment, the returns more than cover it. Also, you’re never entirely in control. Remember, social media platforms continuously change – from their algorithms to their rules to pricing. To drive sales, you need to place your CTAs where they are noticeable. The button should stand out, grabbing the visitor’s attention and inviting them to click. It can work with short phrases such as ‘Buy Now’ on a button in a contrasting color that pops out from the page. Quality imagery and excellent copy are key. But if you want to drive conversion rates, your website needs video content. Video increases the time people spend on a site by a whopping 71%. According to a study by Renderforest, including a video on your homepage increases your conversion rates by 20% or more. The study also reveals that 64% of users are more likely to buy a product online after watching a video. As people react better to visual stimuli, invest in high-quality images of your products. Professional imagery is more appealing and trustworthy. ​Capture all your product’s angles and make it easy for visitors to browse. Use a zoom feature that allows people to see the details and textures of your products. You may also want to show your products in action to help visitors imagine what the product looks like in their hands. Remember, conversions involve more than online purchases; they also include form submissions and other forms of opt-ins. User Experience (UX) impacts all types of transformation significantly. If visitors can’t figure their way around your site, they will leave without buying, signing up, or anything. Design your site so that it’s easy to navigate. Optimize page speed for an uninterrupted browsing experience. Use attractive and well-designed CTAs and headlines. Your website pages should also be consistent and use images wisely. A long, complicated checkout process is a sure-fire way to lose customers who don’t have the patience or time. When the process takes too long, visitors abandon their carts and move on. If you can’t implement a one-click checkout, you should streamline the process as much as possible by requiring minimum data input. At NUEX Creative, we know all about how to make your website stand out, differentiate you from the competition, and how to boost your sales. If you need a conversion-driven website, we would love to help you. Click Here To Get A FREE Website Assessment! ​Despite what you’ve heard, email marketing is not dead. However, with the number of email users in the US alone projected to hit 254.7 million by 2020 and the changing email habits of consumers, email marketing must continue to evolve. Artificial Intelligence (AI) is revolutionizing email marketing by adding personalization to your campaigns. People are more likely to open emails that speak directly to them. According to Marketo, trigger emails based on behavior perform 3x better than those batch emails that have no “intelligence” built-in. With AI and machine learning, you can automate the optimal time to send emails in the day based on each subscriber’s engagement history. Never miss out on revenue opportunities by leveraging AI to determine which subscriber is likely to be most interested in your special offers and promos. Because content matters, AI enables you to learn what content combinations performs best – from the subject lines to the layout to the body copy and even the images. According to Shutterstock, interactive content drives 5x more views than static content. Give subscribers a reason to open your emails with the promise of fun and entertainment. Interactive email content grabs the user’s attention, improving click-through rates and driving higher conversions. However, it’s much more than buttons and GIFs. Interactive content involves anything that users can click on or swipe such as image carousels, quizzes, or games. Mostly, it’s anything that requires the email recipient to engage with the content actively. To add interactive elements to your email marketing, try displaying product cards using image slider or the rollover effect. You can also use accordion menus, survey forms, questionnaires, and videos. Don’t underestimate how vital mobile optimization is to your email marketing. According to Fluent “The Inbox report, Consumer perceptions of email” (2018), 3 out of 5 consumers check their emails on mobile while 75% say they use their smartphones most to check email. Because email marketing starts with people who visit your website and fill out your opt-in form, your sign-up forms should also be mobile-friendly. To optimize your emails, use a responsive mobile template. Shorten your subject line to make sure they’re fully viewable on mobile screens. Pay attention to your pre-header text to make sure that while it’s short, it’s still compelling and informative. Take advantage of device detection if your email service provider offers it. Enhance your emails by striking a balance between text and images. Be intentional with your choices and keep image file sizes small, so they load quickly on mobile. Let NUEX Creative take your brand further. 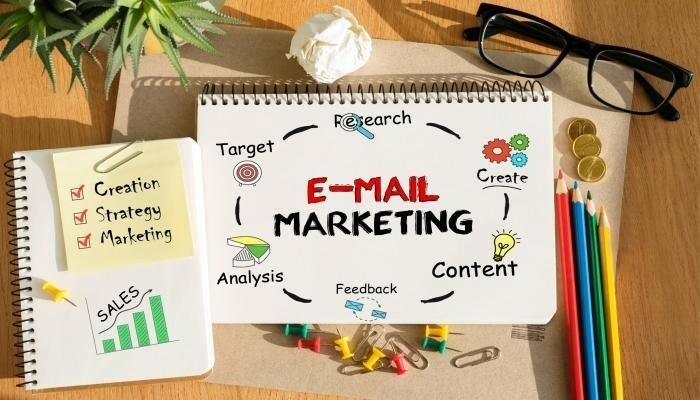 We can help you with an email marketing strategy that elevates your brand and connects you with your customers better.